Pokemon might not be co-op, but a few of the staff members have found themselves invested in the game. Are we going to collect them all? Only time will tell. When we aren't collecting them we'll be collecting loot in Diablo 3, checking out (or drooling over) the Hearthstone beta, and much more. Nick Puleo (@NickPuleo) - "I'll be checking out Prime World on PC and maybe playing some more Pokemon Y on 3DS"
Mike Katsufrakis (@Pheriannath) - "All I have to say is this: Hearthstone!" Marc Allie (@DjinniMan) - "Diablo 3, Pokemon X, and board games all weekend... can't wait!" 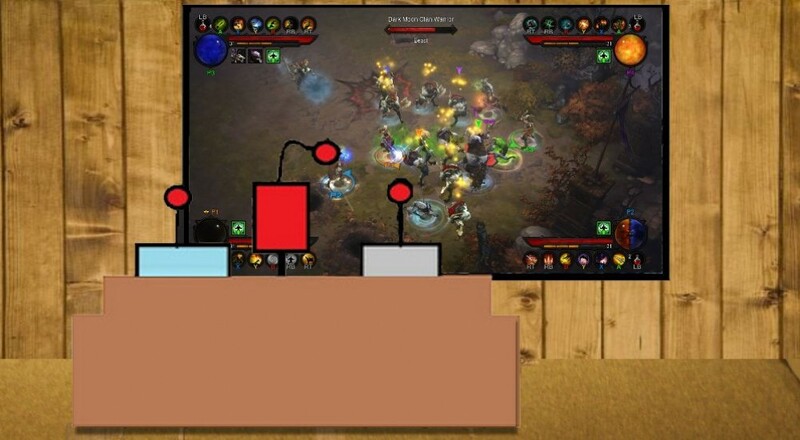 Jason Love (@JLove55) - "More FORCED for me as well as... yep, you guessed it, Borderlands 2"
Eric Murphy (@smurph_em)- "After getting spanked at Monaco last night, I'm returning to Diablo 3 tonight. If my Monaco crew is online tomorrow, we might commit to One Last Job." Locke Vincent (@LockeVincent) -"I'm going to watch Mike play Hearthstone. " Tally Callahan - "Picked up Remember Me for $14, so we'll be playing through that this weekend. And the obligatory work catch-up!" Sam Tyler (@thereelsamtyler) - ""Being British." Chris Metz (@The_Lemko) - "Probably more GTA 5 and Pokemon Y for me!" John Bardinelli (@itsamejohn) - "Out of town for the weekend, so the only game I get to play is Staying Awake while Driving 2: Don't Crash LOL." Justin Reynolds (@justinsocial) - "Bought Beyond: Two Souls on day one and somehow I'm only 2 hours in. Hope to change that this weekend. " Taylor Killian - "I'll be smacking bad guys with an ax all over the crazy world of Dragon's Crown!" Page created in 0.6869 seconds.